We always seem to end up with lots of little collections of bits and bobs here. They usually end up on our windowsill for a bit, before I get fed up with them and move them on to the garden, making space for new finds. 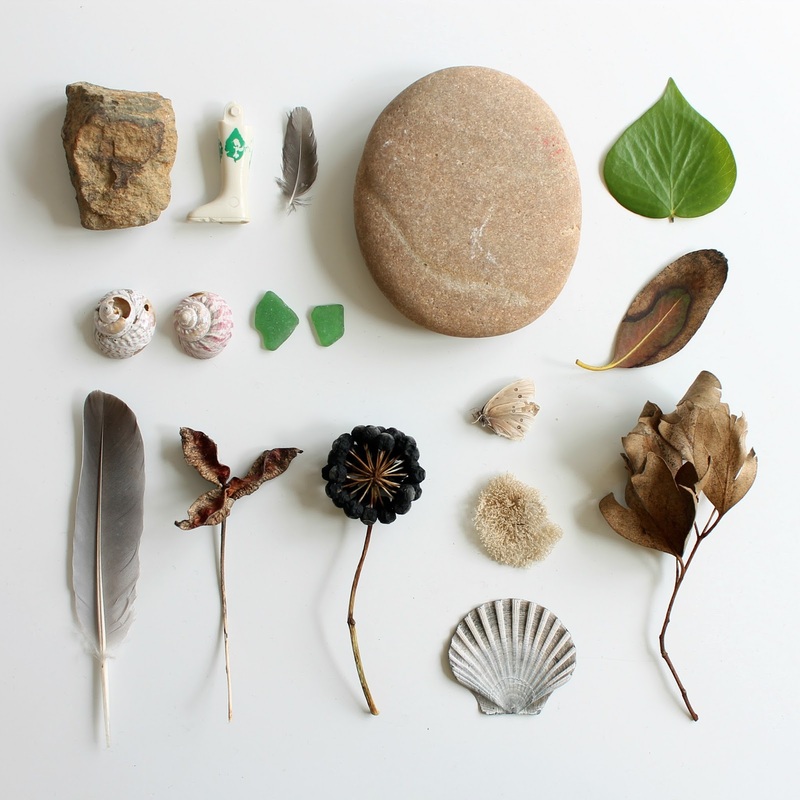 I thought I would start photographing all these things we seem to accumulate when out and about - in the garden or park or at the beach. The bits brought home in buckets, in bicycle baskets or stuffed in pockets. The interesting shells and stones with holes, the feathers and seed pods, leaves and fir cones... or if its Archie a piece of moon rock or a dinosaur fossil! Love collecting things and we have a household full of stuff found and collected over the years, would love to join in! Such a beautiful photo, and what a lovely idea. I tend to photograph the children's art so that it can be kept, even after it's been recycled, this is a good way of remembering the little treasures that we find as well. This is a great idea. I should start doing it too. Oh how stunning. We keep our collections in a cabinet or on old plates. I love your PInteresyt collection of collections. A gem of an idea I'd love to join in. I am always stuffing things I find into pockets and bags. Olly does too. I have a line of shells on my kitchen window sill at the moment, which I shall try and photo. I bow to your genius in composition however! Love this... is that a leg??? :) My little boys trousers were falling down the other day because he had stuffed so many stones in his pockets!